The Arabic literature scene has been growing rapidly in the past few years. The same can be said as well for the English translations of Arabic books. My interest in Arabic literature has grown too over the years with my transition from a reader into an aspiring writer. Looking for sources of information about new releases, book fairs, literary competitions, awards, interviews with writers and reviews of books, I hardly used to find anything close in quality and breadth of content as Arablit blog. Beside crowd reviews social networks like Abjjad and GoodReads, there is only few scattered resources that are dedicated to Arabic Literature. 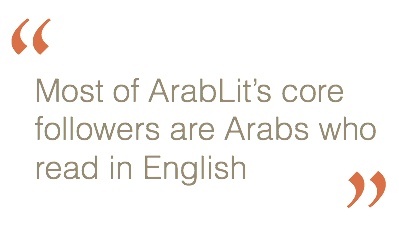 That is why I consider Arablit blog to be a very precious gift. I have been following Arablit for sometime now. I am happily subscribed to its email list, and I am thankful for the continuous – almost daily – feed hitting my inbox. This blog is priceless but it is sad that it is comes in English without an Arabic side to it. The harsh fact is that the best source for Arabic Literature today comes in English! That may give us an idea about the state of Arabic Literature and how much value we give to intellectual production in comparison to other cultures. FZ: Hi Marcia, it is an incredible job that you have been doing on Arablit. I am a big fan of this blog and can’t thank you enough for the value of content here that celebrate Arabic literature. 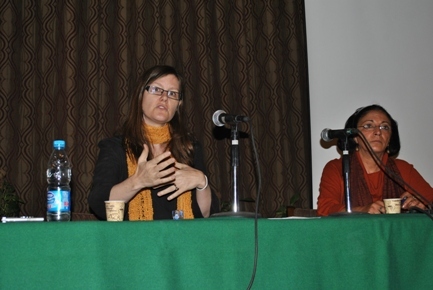 Tell more more about Arablit, when did it start? how did it start? are you the owner or the blog? and the sole contributor? MQ: It started in the fall of 2009, about a year after I moved back to Cairo. In my working life, I’ve been a journalist, an editor, and a literature instructor, not much else. (Yes, there was that one rather insane year as a kindergarten teacher in one of those international schools in the Cairo suburbs, but never mind that.) I’d written book reviews, but they were mostly long, heavy-limbed review-essays. Then in November 2009, I picked up a collection of Iraqi short stories edited by Shakir Mustafa. I wanted to write about the stories, but not in a review-essay format. (I also needed to write shorter, as I must’ve had a one-year-old toddling around at this point.) So I opened up a WordPress blog and wrote a few paragraphs about the stories as they struck me. Shakir Mustafa happened to see it and was, as I remember it, encouraging – indeed, he is surely the reason I turned it into a blog and not a weekend activity. Other people were encouraging as well, as it seemed to fill a void in the informationosphere. I suppose I “own” the blog, although if anyone else would like to take it over, they should drop me a line! I do most of the daily writing, but there are many contributors. For instance, in covering the International Prize for Arabic Fiction this year, we are a group of twelve, I think. Most contributors are in Cairo, but also in Beirut, Dubai, London, Edinburgh, Amman, Doha, Rabat, outside Tunis, and places in between. I love (almost) all of them, and helping people improve their writing or interviewing skills is a particular joy. FZ: Arablit covers a breadth of topics related to Arabic Literature from new releases, upcoming novels, literary competitions, book awards and translated books,.. etc. How do you follow up with your sources? and how do you sustain this blog with such content and quality? MQ: Since I started, a number of people have worked to help feed me information: authors, publishers, bloggers, translators, and others. I can always use more people feeding me info. So please: message me at @arablit. I also work at it about 20-25 hours a week, which I know is ridiculous, and please don’t tell my toiling spouse. Sometimes, it does fortuitously overlap with the other (paying) half of my work. I wish it were much higher quality. I wish I had a grant and could pay correspondents in major Arab cities. I wish I had a better design so people could find some of the great old content. I wish, I wish, I wish. 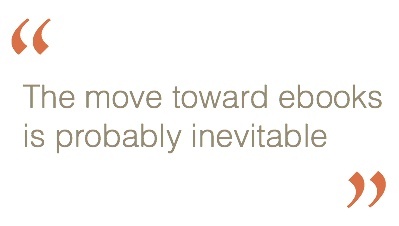 But it’s after all just a blog, jeez. FZ: Arablit email list shows that I am one of 19,018 subscriber (it is growing fast). That is an indication of huge readership. Where do your readers come from? and who are you mainly targeting? MQ: In the beginning, I thought I was targeting English-language readers who had zero knowledge of Arabic literature, contemporary or classical. Certainly, I do have some readers like that. But it’s probably a relatively small section of the readership. Most of ArabLit’s core followers are Arabs who read in English (or who google-translate), translators, publishers, scholars, avid readers, authors, agents, and other people who care deeply about literature. Some posts will draw in other people – like when I write slightly more politically oriented pieces about Iraq or Palestine – but most of the day-to-day audience is frighteningly knowledgeable. Most of my readers know a great deal more than I do about my subjects. So I basically try not to look like an idiot. FZ: How do you see the state of arabic literature today? there is a perception about Arabs that they don’t read, how much truth do you think is there? MQ: Everyone would like Arabs to read more, sure. But every time a person unironically circulates the statistic that “Spain translates more in a year than Arabs have translated ever” or “Arabs read only six minutes a year” I slam my head against a wall. Obviously Arabs are an enormously diverse group, and you can’t compare the situations of readers in Baghdad, Sharjah, Damascus, Casablanca, Beirut, Benghazi, and Cairo. Some places, it’s near impossible to read because of daily violence. Other places, books are too expensive for most people and libraries are too scarce. And some places, the reading population is growing by leaps. On the state of Arabic literature, I think it’s similarly diverse and defies a summing-up. There are pockets of wonderful innovation, especially where genre and form are played with in interesting ways. And then there’s a lot of stuff that’s rushed out without editorial oversight. 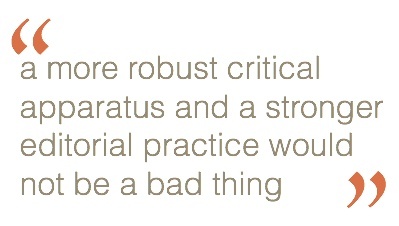 I suppose if there’s a generalization to be made, it’s that a more robust critical apparatus and a stronger editorial practice would not be a bad thing. FZ: Arablit is mostly focused on translated arabic literature, right? is there a market for arabic books in the west? what are the topics that you think is of interest for a western audience today? MQ: Yes, most of what I write about has been translated or else I want it to be translated. 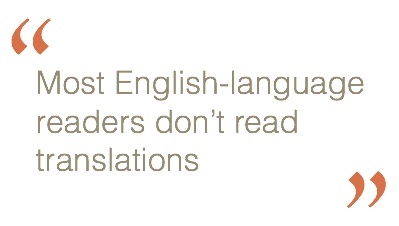 As to the market: Most English-language readers don’t read translations, but I don’t think they’re translation-averse. They just don’t see translations (for a number of reasons). When they do see them, they’re often quite interested—for instance the reaction this past year to work by Iraqi short-story writer Hassan Blasim. I do think there’s a wide interest in reading about Iraq from Iraqi writers, and Penguin seems to have gotten that message, as they’re bringing out Ahmed Saadawi’s Frankenstein in Baghdad in 2016. The same things that are popular in Arabic won’t necessarily be popular in English, of course. 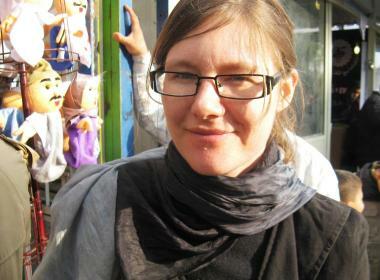 People seem to keep thinking that Ahlem Mostaghanemi should be popular in English, but I don’t see it ever happening. Audiences are also diverse: There was a small corner of the bibliouniverse that went into raptures over Humphrey Davies’ translation of Leg over Leg, although I don’t think there were any mainstream bookclubs that took it on. It’s all in the pockets! I think many authors can find different interested audiences in Western languages, as long as they find their pocket. FZ: eBooks in the Arab world don’t seem to see the same success it saw in the west. What do you think the reasons behind that? Even in the west, there are reports that show decline in ebooks sales and a revival for paper books. Do ebooks have a chance in the Arab world? MQ: I think it’s taken some time to work out the technical aspects. Most publishers aren’t jumping into this feet-first, and I imagine they wouldn’t have in the West, either, if they hadn’t felt pushed by Amazon and others. Also, there’s the payment issue: Arabs have been less enthusiastic about online payment, although that’s being worked on. The move toward ebooks is probably inevitable, and although I’m still not really keen, I do hope they’ll eradicate some of the ridiculous distribution issues that plague Arab publishing and book-buying. Like, for instance, I’m trying to assign out reviews of the 16 novels longlisted for the International Prize for Arabic Fiction. I should be able to easily purchase these 16 novels in any major Arab city. Right? But different collections of the novels are available in different cities, and some cities have none of them. I like many anachronisms, but not this one. Let’s be done with it. FZ: There are many book fairs that take place in the Arab area throughout the year. Which one do you think is the most important? Which is your favorite? Why? MQ: The most “important” ones right now, I suppose, are the two big Emirati fairs, in Abu Dhabi and Sharjah. At those fairs, deals are being made and large numbers of authors are being brought together, even if there’s a good bit of chaos to it. My favorite should be the Beirut Arab Book Fair. But my heart belongs to the Cairo Book Fair, because she’s so much like Cairo, so run-down and junky and yet…. FZ: Who is your favorite Arab author? Your favorite Arabic book? MQ: It wouldn’t be very politic of me to answer this question unless I say someone who’s long dead, like Ahmad Faris al-Shidyaq. Anyhow, my favorites fluctuate with what’s in front of me. Right now I’m enchanted by the Moroccan academic Abdelfattah Kilito’s Arabs and the Art of Storytelling, which of course he wrote in French, but it’s about Arab authors. FZ: Which literary prize would you say is the most prestigious in the Arabic world? MQ: I suppose it’s the International Prize for Arabic Fiction, or “Arabic Booker,” because of its ties with the Booker Prize and because of all the glitter it can assemble, even though the judges’ choices—and choice of judges—are sometimes quite questionable. But at least it’s semi-transparent. There are other strong prizes, like the Sawiris, but they’re more local. And the Etisalat Prize for Arabic Children’s Literature is quite a big deal in the MG and YA world. I’d love to see some independent prizes move into the space that IPAF occupies, like maybe the new prize named for Mohamed Choukri. And it would be grand to see specialized prizes: for science fiction, for novels by women, for poetry, for romance novels, for memoir, for maqama, for risalas. Perhaps prizes are corny, and perhaps they encourage some of the negative aspects of literary “competition,” but they also can help bring a bit of flash to literature, which it might need to keep readers’ attention. FZ: If you were to advise Arab authors today to reach out for publishers to translate their work, what would you tell them? who to approach and how? Really, though, there’s a perception that a bad translation is better than no translation at all. No, no, and a thousand times no. FZ: Do you mean to say that if someone finds a good english translator, you’d help him in finding a publisher to take on the English version? MQ: Yes, that’s what I meant. Without a translator, it’s very difficult, because most publishers won’t pay up front for a translator. Usually, the translator must be the one to seek out grants or other funding in order to support the venture — or else she (or he) needs to do it as a labor of love and hope for remuneration down the road. FZ: Thank you Marica.. I appreciate your time.. keep up the great work you have been doing. Hope you’d find someone to fund you and help taking this blog to further levels. You certainly deserves it.. and so does Arabic Literature..